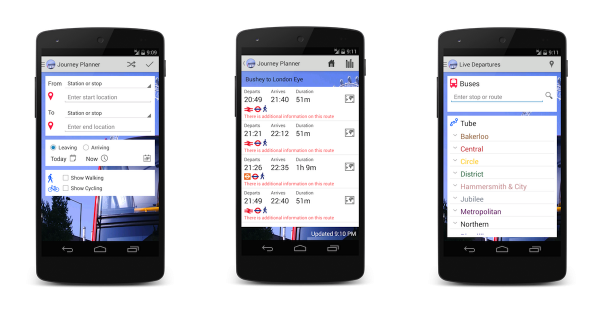 Full-featured journey planner app for navigating London by tube and bus! With a stylish and easy to use interface, this app provides real-time train arrival information for all stations on the TFL network. London commuters will have real-time access to station information and countdown clocks from homes, offices, or while on the go. Available now in the Apple App Store and Google Play Store, this free-to-download app shares the same features as the TFL website – just select your stations and get the next train arrival times in both directions. 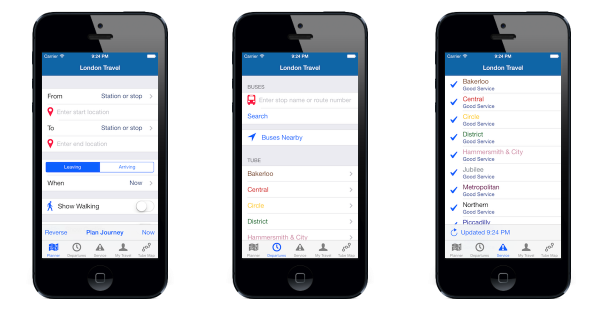 The app covers all stations on the London underground network and provides an expanding list of real-time journey planning tools for customers. All data is provided by Transport for London, including PDF route maps that can be stored for offline use. 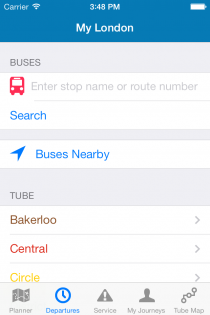 This app was built for iOS7 matching the style and ease of use that iOS 7 provides, with real-time arrival information for all buses and stations on the TFL network. 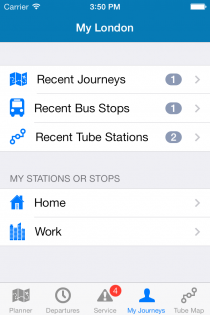 One of the few London tube and bus apps available as a universal app for both iPad and iPhone. Our full-featured app for London tube and bus travel is also available on Android! 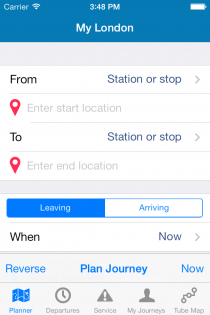 The one app you need to get around London! 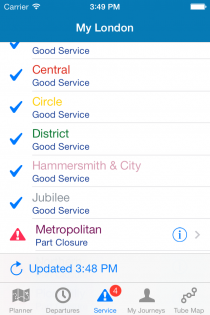 This app works just like the TFL website and is really useful for commuting in London.